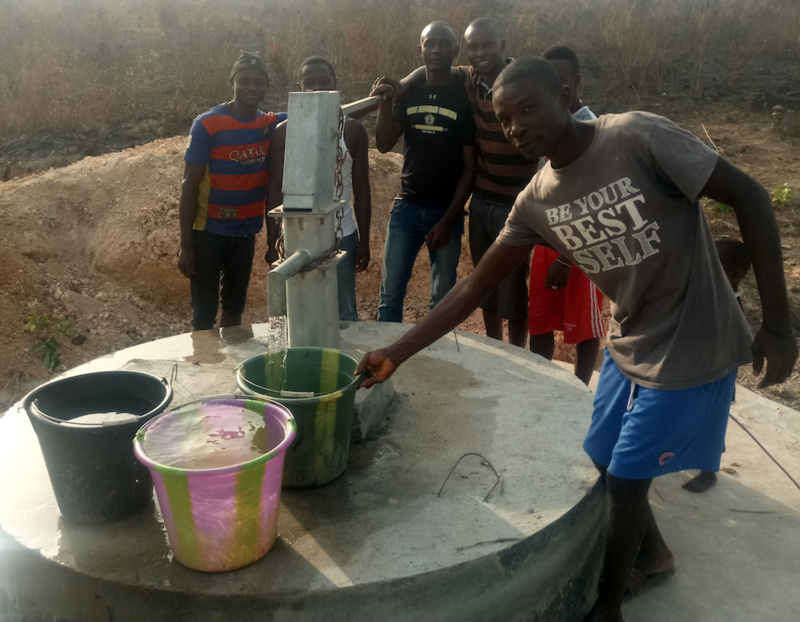 The Faith Healing Agricultural Project (FHAP) is an offshoot of the longtime partner of Bread and Water for Africa®, Faith Healing Development Organization (FHDO) in Sierra Leone and operates with mission of helping small farmers achieve food security. FHAP does this in several ways including providing these farmers, the vast majority of whom are women, with materials to help them getting off to a good growing season with quality seeds and planting materials. In addition, FHAP provides the farmers with hands-on training at its demonstration farm, an established support network and even helps them to prepare their land for planting. FHAP is making a huge difference in the lives of these women farmers, notes FHDO executive director Rev. Francis Mambu. During the last planting season, over 78 bushels of rice was planted, he reported. The yield was 806 bushels – a return of more than 10 times! Rev. Mambu and FHAP have also been recognized from the highest levels of the government of Sierra Leone for their efforts. “The Honourable Minister of Agriculture, Forestry and Food Security, Professor Monty Jones thanked FHAP and its partners for the laudable strides they are making in the country, noting that the FHAP rice project is the largest in the entire country,” said Rev. Mambu. Rev. Mambu noted in the 2018 FHAP Annual Report that about 75 percent of all Sierra Leoneans are engaged in agriculture in one way or another, accounting for approximately 40 percent of the country’s Gross Domestic Product. “Agriculture is the daily life occupation of most of the people in Sierra Leone, especially for those residing in the rural areas,” he said. 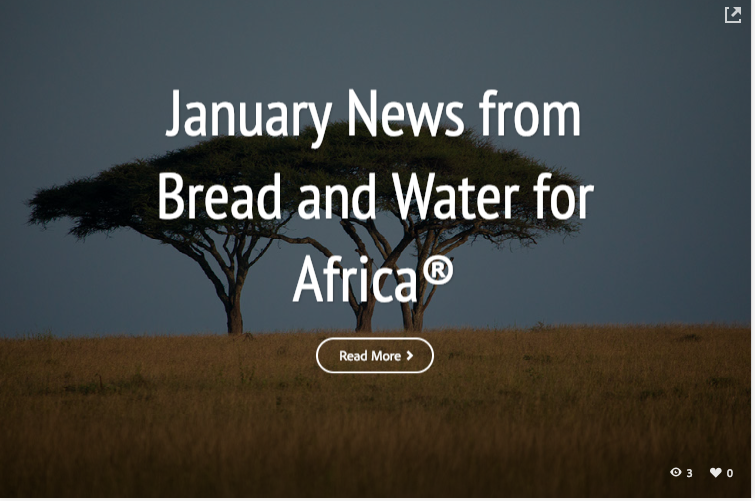 Thanks to the supporters of Bread and Water for Africa®, 315 women were provided with micro finance loans to start their own farming businesses for seed loans and also received technical assistance for their farms. The women farmers reside in the Yankansa village area in the Bombali District in the northern region of the country which suffered greatly during the decade-long civil war in the 1990s when farms and farming equipment was destroyed. The land is fertile for farming, and the weather is favorable for crops to thrive, but Rev. Mambu and the women he helps continue to face great challenges. For the future, Rev. Mambu and FHAP will continue to empower women in villages throughout the Yankansa community. “These women groups are doing well and their farms are expanding,” he told us. 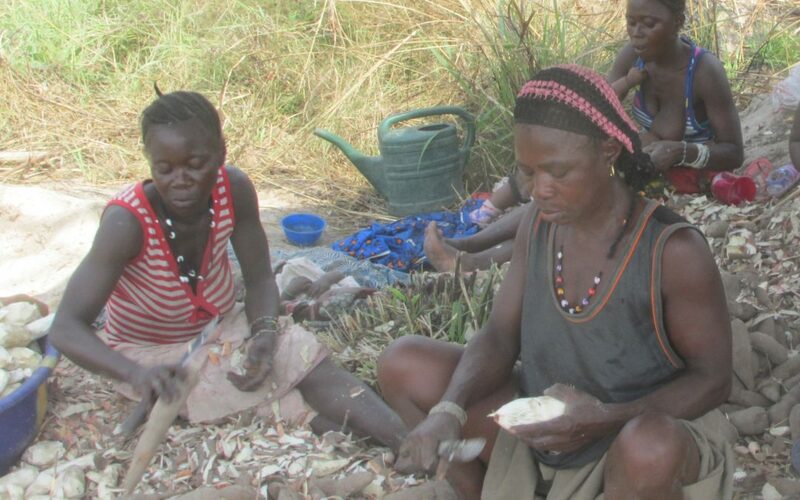 “Hopefully in the next planting season more women groups will be able to register for support. At the Legos Christian Academy in Rutile, Sierra Leone, there are hundreds of students who today have stepped into the digital age thanks to the supporters of Bread and Water for Africa® and through our partnership with Computer Ministry in Mechanicsburg, Pennsylvania. It all began last fall while our longtime partner in Sierra Leone, Rev. Francis Mambu, executive director of Faith Healing Development Organization (FHDO) which operates the school, visited the United States to meet with Bread and Water for Africa® Executive Director Bethelhem. While in the U.S., Beth took Rev. Mambu to meet with representatives of Computer Ministry to tell them about the need for computers in schools in Sierra Leone. When asked how many computers the school needed, Beth told them that school has 300 students. With that, they informed her they could provide 297 desktop computers which had been refurbished by their ministry and the partnership was formed. Thanks to the supporters of Bread and Water for Africa®, we were able to pay a nominal service fee to Computer Ministry which enables them to keep their electronics recycling operation going, as well as the cost of shipping the computers to Sierra Leone. It’s difficult to describe the feeling we got when we received this short video from Pastor Rogers the school administrator showing the Legos students using their “new” computers. While students in the United States could not imagine attempting to do their schoolwork without a computer, for many years these secondary school students in Sierra Leone could only dream of being able to search the internet for research for their studies. 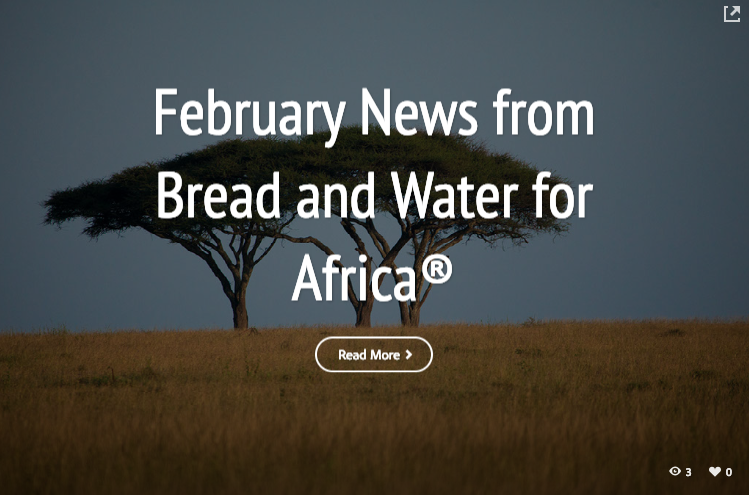 The supporters of Bread and Water for Africa® made this all possible, as part of a joint mission together with Computer Ministry and Rev. Mambu and FHDO to bridge the digital divide literally across the ocean and we could not wait to share this success with you. 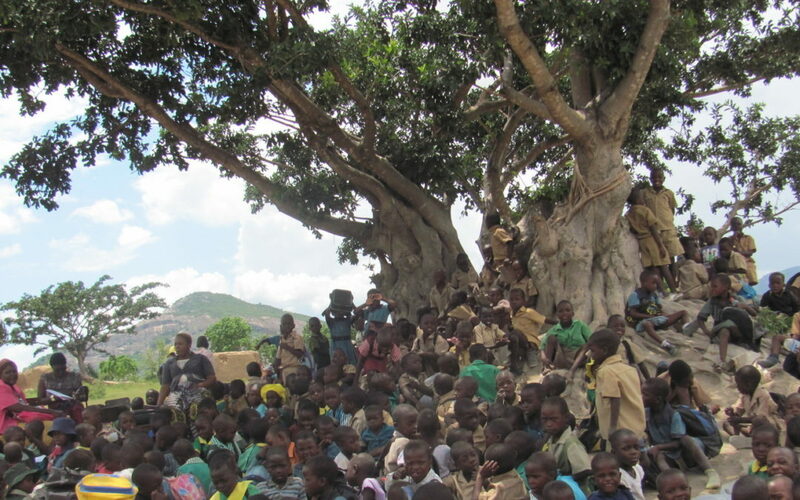 Books Bound for Uganda, Orphan Now Teaching Underprivileged Children, and more!